We’d love your help. Let us know what’s wrong with this preview of Middle England by Jonathan Coe. Set in the Midlands and London over the last eight years, Jonathan Coe follows a brilliantly vivid cast of characters through a time of immense change and disruption in Britain. There are the early married years of Sophie and Ian who disagree about the future of Britain and, possibly, the future of their relationship; Sophie's grandfather whose final act is to send a posta Set in the Midlands and London over the last eight years, Jonathan Coe follows a brilliantly vivid cast of characters through a time of immense change and disruption in Britain. There are the early married years of Sophie and Ian who disagree about the future of Britain and, possibly, the future of their relationship; Sophie's grandfather whose final act is to send a postal vote for the European referendum; Doug, the political commentator, whose young daughter despairs of his lack of political nous and Doug's Remaining Tory politician partner who is savaged by the crazed trolls of Twitter. And within all these lives is the story of England itself: a story of nostalgia and irony; of friendship and rage, humour and intense bewilderment. To ask other readers questions about Middle England, please sign up. Can this be read as a stand-alone? Or is it part of a trilogy? Thank you to anyone who responds! Jonathan Coe continues on themes that have been his natural areas of interest, this time he acutely observes the painfully divisive and depressing state of the nation since 2010 and Brexit through previous characters he once again resurrects along with the creation of new ones. Cameron as Prime Minister breaks Britain apart with his partner in crime, Osborne, inflicting an austerity on the poor and middle class whilst those who created the economic crisis, the bankers, walk away with impunity. C Jonathan Coe continues on themes that have been his natural areas of interest, this time he acutely observes the painfully divisive and depressing state of the nation since 2010 and Brexit through previous characters he once again resurrects along with the creation of new ones. Cameron as Prime Minister breaks Britain apart with his partner in crime, Osborne, inflicting an austerity on the poor and middle class whilst those who created the economic crisis, the bankers, walk away with impunity. Cameron's misjudgements are now legendary and it is unlikely history will be kind to him, his willingness to put Tory Eurosceptics above the interest of the country along with his efforts to encroach on UKIP territory for votes with his referendum on leaving Europe. He then proceeds to walk away from the unholy mess he created, the architect of the incoming car crash government of Teresa May. Coe's trademark wit and comic humour is present, albeit severely curtailed given the bleakness of the circumstances. His characters capture the rage and anger prevalent in the nation, the precarious economic uncertainties blamed on immigrants and Europe, the inability of so many to come to terms with the new realities amidst a nostalgia for the past when Britain actually made things. Families and marriages are torn apart or hampered by desperately strained relationships, trying to ignore key faultlines in their differing perspectives. Coe takes us through the years with the 2011 riots and Coriander developing her radical political perspectives, whilst despising her out of touch political commentator of a father and her mother's lifestyle. The brief illusory moments of national unity provided by the opening ceremony of the 2012 London Olympics captivate a number of the characters, especially the gay Sohan. The Leave Campaign's twisted lies and manipulation takes place in a toxic climate with key elements of the press labelling those who oppose Leave as enemies of the state and traitors, as the country's deep fissures are publicly exposed. Middle England revisits characters from Coe’s earlier novels The Rotters’ Club and The Closed Circle – I suppose the three books could be said to form a loose trilogy – and follows them from 2010 to the present day. Their experiences are juxtaposed with a wealth of political developments and newsworthy events: the Conservative/Lib Dem coalition, Amy Winehouse’s death, the London riots, the 2012 Olympics opening ceremony, the run-up to the EU referendum, Victoria Wood’s death, the murder of J Middle England revisits characters from Coe’s earlier novels The Rotters’ Club and The Closed Circle – I suppose the three books could be said to form a loose trilogy – and follows them from 2010 to the present day. Their experiences are juxtaposed with a wealth of political developments and newsworthy events: the Conservative/Lib Dem coalition, Amy Winehouse’s death, the London riots, the 2012 Olympics opening ceremony, the run-up to the EU referendum, Victoria Wood’s death, the murder of Jo Cox, the results of the referendum and its aftermath – to name a few of the developments that loom large in this particular story. I often found myself thinking Middle England would make a better read for someone who knows very little about British politics and current affairs of the past decade and is looking for an entertaining primer. If you’re British and/or live in the UK, you can’t fail to have been aware of the events depicted in this book, because they’re all major social or political developments that happened 7 or 8 years ago at most. In fact, I’d imagine most readers will have had more meaningful experiences of these things than Coe’s characters do. Too many sequences feel like they are merely soulless rehashes of news stories. It was nice to read a novel about this political era set predominantly outside London (most of it takes place in and around Birmingham). There are some fantastic individual scenes: Benjamin and Lois scattering their parents’ ashes, for example, and Sophie’s reconciliation with her trans student Emily, and Benjamin and Jennifer’s goodbye. In these small, personal moments – too-scarce glimpses into the humanity of the characters – the book is at its best. A few entertaining sections in which a journalist meets up with a obsequious politician, illustrating the changing nature (but consistent hypocrisy) of government over the years, are also very good. The bigger picture, however, is disappointing. The novel culminates in a plotline about the effects of Brexit in which the worst the characters have to fear is feeling a bit put out. The nods to diversity with a few minor characters don’t take away from the overwhelming sense that this is a story about people so privileged nothing can really touch them. There are troubling omissions (Naheed just disappears), disturbing details that are oddly glossed over, and some developments that simply don’t make a lot of sense. It’s totally understandable that an established British novelist would want to write something that serves as a response to the current political moment. But Middle England is a largely toothless satire that offers neither an interesting perspective on society nor particularly engaging characters. As a state-of-the-nation novel, it also has the misfortune to have been published within a few months of Sam Byers’ vastly superior and much more vicious Perfidious Albion, which I would certainly recommend over this. 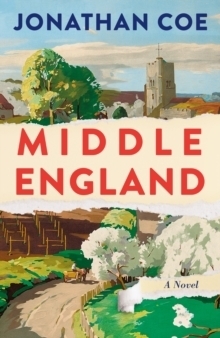 I received an advance review copy of Middle England from the publisher through NetGalley. Set between the general election of 2010 that ushered in the coalition government and September 2018, this is a 'state of the nation' novel that tells the story of our times. Anyone who voted Leave may want to approach this with caution and have the blood pressure tablets handy; the rest of us can relive the tumultuous events of the last 8 years from the riots to Jo Cox, from the Olympics to the emergence of Jeremy Corbyn, and all the hideous hatred and vitriolic rhetoric that Brexit has legitim Set between the general election of 2010 that ushered in the coalition government and September 2018, this is a 'state of the nation' novel that tells the story of our times. Anyone who voted Leave may want to approach this with caution and have the blood pressure tablets handy; the rest of us can relive the tumultuous events of the last 8 years from the riots to Jo Cox, from the Olympics to the emergence of Jeremy Corbyn, and all the hideous hatred and vitriolic rhetoric that Brexit has legitimised. Coe isn't really saying anything new here as his characters line up on both sides of the debate: those who think there's nothing wrong in poking fun at "lezzers" (vegetarian, at that! ), or quoting Enoch Powell's 'rivers of blood' speech with a patronising 'told you so' air; or those with a more inclusive, compassionate, complex and layered sense of what it means to be 'English' today like young academic Sophie. There's less humour here than we might expect from Coe but I would guess that he's as disheartened as many of us with the re-emergence of the alt-right, the wistful yearning to turn the clock back to a mythical 1950s England, and the utter chaos caused by Brexit. For all that, there's a tentatively hopeful ending - though it has to take place partly outside of England itself. Middle England é un romanzo che si nutre di attualità e che misura la temperatura elevata che in questo momento si percepisce in Gran Bretagna. Coe fa, prima, una cavalcata di qualche decennio attraverso alcuni eventi sociali e politici, nevralgici per il Regno Unito. Tra gli altri le Olimpiadi di Londra del 2012, decise in una generale iniziale indifferenza diverranno, in un crescendo di partecipazione collettiva e di affermazione dell’orgoglio nazionale, una occasione di coesione del paese (para Middle England é un romanzo che si nutre di attualità e che misura la temperatura elevata che in questo momento si percepisce in Gran Bretagna. Tra gli altri le Olimpiadi di Londra del 2012, decise in una generale iniziale indifferenza diverranno, in un crescendo di partecipazione collettiva e di affermazione dell’orgoglio nazionale, una occasione di coesione del paese (paradossale che dove arriva lo sport, altro fatica ad arrivare). Ma il punto cruciale del romanzo è l’approdo al referendum democratico sulla Brexit nel giugno del 2016, dove gli inglesi si sono giocati a dadi il futuro del paese, benché la Brexit rappresenti una opportunità, ma dalla porta strettissima. Inizialmente il suo nome fu Brixit non Brexit, la nazione è Britain, non Bretain ma etimologicamente la parola Brixit è più incisiva perché conserva la parola ‘exit’ che dà il senso ad un movimento verso l’uscita, mentre in realtà la Brexit è un ripiegamento verso l’interno. Per una cospicua parte degli inglesi anni di deindustrializzazione, impoverimento della classe borghese, la diffidenza verso lo straniero, l’austerità imposta dalla Ue hanno fatto vacillare il concetto di british; la britannicità colpita al cuore, e il referendum diventa un possibile strumento per riaffermare l’unicità e l’anima di un paese fortemente nostalgico e ancorato ad un illustre passato. Coe mostra come questi eventi impattano sulla società inglese nelle reazioni di un gruppo di personaggi eterogenei: una giovane docente di arte all’Università di Oxford, uno scrittore che entra a far parte della cinquina dei Booker Prize, un giornalista molto vicino ad uno dei sostenitori del referendum, tutti in apparente relazione tra loro. Middle England non è un romanzo complesso, non urtica come carta vetrata, ma mette alla berlina un paese allo sbando che ha paura di decidere e quando lo fa teme le conseguenze delle sue scelte. È un libro dinamico e brillante con una scrittura agevole, anche se non eccelsa che si legge con velocità. Una coppia può decidere di separarsi per mille ragioni: adulterio, crudeltà, maltrattamenti domestici, carenza di rapporti sessuali. Ma una divergenza di opinioni sul futuro della Gran Bretagna, sul fatto che dovesse restare o no nell’Unione europea può essere di intralcio? C'è da aggiungere, per chi ha già letto Coe, che alcuni personaggi vengono direttamente dalla Banda dei brocchi, e qui sono ripresi dall’autore nella loro piena maturità, per chi li aveva amati di là potrebbe essere un appeal aggiuntivo. There are only a few books which I’ve read more than once. Pride and Prejudice is one of them; Brave New World another. And in this rare group you’ll also find Jonathan Coe’s What a Carve Up! Sadly, his latest book, Middle England, will not be joining my fiction hall of fame. It seems Coe was asked to write a book about Brexit and that’s what he did. He resurrected his characters from The Rotters' Club (another great novel) and put them into Britain’s turbulent 21st C political landscape. And ye There are only a few books which I’ve read more than once. Pride and Prejudice is one of them; Brave New World another. And in this rare group you’ll also find Jonathan Coe’s What a Carve Up! Sadly, his latest book, Middle England, will not be joining my fiction hall of fame. It seems Coe was asked to write a book about Brexit and that’s what he did. He resurrected his characters from The Rotters' Club (another great novel) and put them into Britain’s turbulent 21st C political landscape. And yet … those characters who were so engaging in The Rotters' Club, seem so dull in Middle England. Because here’s the thing…Brexit is boring. Yes, it’s important. Yes, I have a viewpoint – I’ve even taken to the streets to express it, and yet I find it as dull as dishwater. In Middle England, Benjamin had written a book, which he asked his friends to critique and one of them advises him to ‘ get rid of some of the political, historical stuff’(well, actually, all of it.) But if you took away Coe’s political stuff, there’d be little left. That’s not to say I didn’t enjoy Doug’s chats with the Tory spin doctor, the rivalry between the children’s entertainers and Colin’s selective memories of Midlands manufacturing. But without the Brexit timeline, there was little narrative to keep it going. Thanks to the publisher and Netgalley for this ARC. Jonathan Coe has been one of our foremost British exponents of the ‘state of the nation’ genre, with a series of novels following a group of friends throughout their formative years, starting from their schooldays in 2001 with The Rotters Club. His current novel covers eight years from 2010 and includes many memorable news references:- Gordon Brown’s faux pas about the ‘bigoted’ woman, Ed Miliband’s bacon sandwich, the 2012 Olympic opening ceremony, and his main topic here - the political fault Jonathan Coe has been one of our foremost British exponents of the ‘state of the nation’ genre, with a series of novels following a group of friends throughout their formative years, starting from their schooldays in 2001 with The Rotters Club. His current novel covers eight years from 2010 and includes many memorable news references:- Gordon Brown’s faux pas about the ‘bigoted’ woman, Ed Miliband’s bacon sandwich, the 2012 Olympic opening ceremony, and his main topic here - the political fault lines leading to the earthquake of Brexit. Coe’s comedy-of-manners style is polished and very readable but his satirical approach is disappointingly marred in this instance by his own blatantly biased stance. The sympathetic characters are all Remainers and the Brexiteers are depicted as 'deplorables' – with one character in particular coming across as such a villainous caricature as to be laughable rather than despicable. Unfortunately, this level of comedy is just about the only humour in the novel. (apart from a farcical episode in a wardrobe). The black and white stereotyping results in many characters being mere mouthpieces for the views of a cosy metropolitan elite of writers, academics and left-wing journalists who all toe the line of Guardianista political dogma. I think a more balanced portrayal of the national mood outside this middle class bubble would have made the social satire a lot sharper - and more honest, too. Sadly, Coe seems to have misread this mood just as much as those Remainers who were stunned by the Referendum result. Description: Set in the Midlands and London over the last eight years, Jonathan Coe follows a brilliantly vivid cast of characters through a time of immense change and disruption in Britain. There are the early married years of Sophie and Ian who disagree about the future of Britain and, possibly, the future of their relationship; Sophie's grandfather whose final act is to send a postal vote for the European referendum; Doug, the political commentator, whose young daughter despairs of his lack of political nous and Doug's Remaining Tory politician partner who is savaged by the crazed trolls of Twitter. And within all these lives is the story of England itself: a story of nostalgia and irony; of friendship and rage, humour and intense bewilderment. Opening: April 2010. The funeral was over. The reception was starting to fizzle out. Benjamin decided it was time to go. Satire without the element of fun makes for a depressing read, especially if the reader is a brexiteer. This is a fleshed-out blog/diary of contemporary British politics, and the comedy thief (hattip Jasper Fforde!) who infiltrated Hardy's potboilers has also been through these pages with a fine toothed comb. Current events with fictional families is Coe's oeuvre. The knock-on depression is that there is no Mueller-esque inquiry planned. No-one is looking into Britain's missing monies or those that stand to make millions on completion of a brexit deal, and there is not one politician today that has that combination of fitness, fairness and humility to say, once and for all that downsizing into exclusitory fascism based on the sickness and deceit of nostalgia is not a bright thing to do. 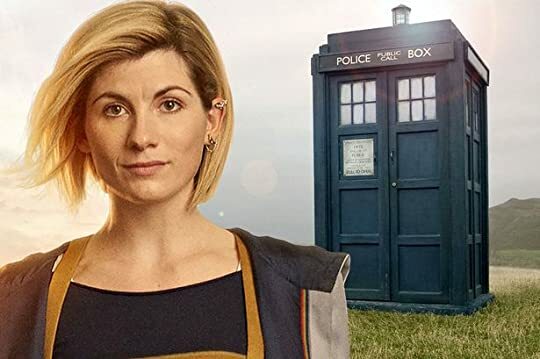 Whilst we wait for Queen Saga to achieve her global majority our faith should be placed in Carole Cadwalladr and the fantastic new Dr Who. Also - please have a moment of quietude for Jo Cox in that chapter, to reflect upon where your entitled desires and lies are leading you, Brittania. Di Coe avevo letto solo La famiglia Winshaw che mi era piaciuto molto. Speravo con questo suo ultimo libro di capire qualcosa sulla Brexit. Sapevo che aveva ripreso i protagonisti di altri suoi romanzi ( “La banda dei brocchi” – “Circolo chiuso”) che non conoscevo, eppure non ho faticato a prendere confidenza con loro, ma la parte miglior resta il suo tentativo di spiegare, a se stesso mi è sembrato, più che al lettore, come diavolo gli Inglesi siano arrivati a questa scelta. Per far questo imme Di Coe avevo letto solo La famiglia Winshaw che mi era piaciuto molto. Speravo con questo suo ultimo libro di capire qualcosa sulla Brexit. Sapevo che aveva ripreso i protagonisti di altri suoi romanzi ( “La banda dei brocchi” – “Circolo chiuso”) che non conoscevo, eppure non ho faticato a prendere confidenza con loro, ma la parte miglior resta il suo tentativo di spiegare, a se stesso mi è sembrato, più che al lettore, come diavolo gli Inglesi siano arrivati a questa scelta. •	L'incomprensione delle reali difficoltà determinate dalla crisi economica. •	L’impatto dell’immigrazione, anche di quella con alti livello di istruzione. •	L’uso ad arte dello scontento per raccogliere consensi. •	Le astuzie di politici che, cresciuti nelle élite del Paese, si fanno gioco delle difficoltà reali della gente per mantenere il proprio potere. E molti altri motivi per far gridare “Prima gli Inglesi”. …Se credi che tra tre mesi la gente sarà meglio informata vuol dire che vivi nel mondo dei sogni. Voteranno come sempre hanno votato… con la pancia. Questa campagna la si vincerà con gli slogan e le battute ad effetto, con gli istinti e le emozioni, per non parlare dei pregiudizi, ai quali anche Farage e la sua cricca faranno appello. Insomma, credevo di comprendere attraverso il romanzo di Coe qualcosa sulla Brexit e invece ho visto molto del mio Paese. Forse ha ragione chi dice che gli Inglesi da secoli ormai quando se ne vanno lasciano disastri, vedi l’India col Pakistan, Israele e la Palestina, e ora lo faranno finalmente sulla loro pelle, a casa loro. A questo libro avrei dato anche 50 stelle. Per tantissimi motivi, forse non tutti condivisibili, ma assolutamente miei. Per iniziare direi che Coe è sempre una garanzia di un determinato tipo di libri e per estimatori dell'Inghilterra a prescindere. Quando iniziai a leggere la banda dei brocchi, intanto ero giovane, e poi avevo Manchester e il mio Erasmus così dentro di me che sentire raccontare qualsiasi cosa di una banda di giovanotti inglese mi faceva battere il cuore. Poi, con gli anni, recu A questo libro avrei dato anche 50 stelle. Per tantissimi motivi, forse non tutti condivisibili, ma assolutamente miei. Per iniziare direi che Coe è sempre una garanzia di un determinato tipo di libri e per estimatori dell'Inghilterra a prescindere. Quando iniziai a leggere la banda dei brocchi, intanto ero giovane, e poi avevo Manchester e il mio Erasmus così dentro di me che sentire raccontare qualsiasi cosa di una banda di giovanotti inglese mi faceva battere il cuore. Poi, con gli anni, recuperai e lessi tutto Coe, a volte con grandi entusiasmi, altri meno. Middle England, comprato d'impeto, mi ha mandato in estasi. Era proprio quello che volevo leggere, avevo voglia di quell'Inghilterra pre e post Brexit interpretata e raccontata da una serie di personaggi ormai invecchiati come me. E' stata una lettura meravigliosa, perché la bravura di Coe sta nell'intrecciare una trama romanzesca (non sempre al top, spesso con dei lieti fine da orticaria ma sempre piacevole e con dei personaggi ben tratteggiati) a una serie di eventi che raccontano l'Inghilterra di quegli anni e a me interessava davvero. Parte in sordina questo romanzo, nel tentativo di riannodare vicende e personaggi di “La banda dei brocchi” e “Circolo chiuso”, che molto contribuirono alla popolarità di Jonathan Coe ma che risalgono ormai a una quindicina di anni fa. Non è facile e immediato il recupero nella memoria dei tipi e dei caratteri di allora e l’agile scrittura di Coe appare oggi più frammentaria e incline al luogo comune; forse si viene condizionati anche dal ricordo più recente delle ultime prove mediocri dell’autore (”Disaccordi imperfetti” e “Numero Undici”). Tutto questo finché non entra in scena a poco a poco la Brexit, e allora Coe recupera il suo registro migliore, interpretando ancora una volta con notevole acume l’aria dei tempi. Dapprima si instaura nell’atmosfera intorno ai personaggi un progressivo disagio trasmesso da minimi dettagli, notizie di cronaca in apparenza insignificanti ma sempre più presenti nei media, colloqui nei quali fra lo scetticismo iniziale comincia a farsi strada l’ipotesi di un’uscita del Regno Unito dall’UE, e poi episodi di intolleranza, risentimento, rancore che incrinano la fiducia nel secolare buon senso britannico esemplificata dalla cerimonia di apertura delle Olimpiadi di Londra (2012). “Quella sera l’Inghilterra sembrava un paese tranquillo e organizzato, un paese in pace con sé stesso. L’idea che una trasmissione televisiva avesse potuto unire milioni di persone così diverse gli faceva pensare alla sua infanzia e lo faceva sorridere. Andava tutto bene e il fiume sembrava essere d’accordo con lui…procedeva mormorando nel suo corso senza tempo, dolcemente e allegramente. Finché, appena dopo il voto, affiora la consapevolezza dell’enormità di quanto accaduto e delle potenziali ricadute sulla vita quotidiana di ognuno: “SIAMO FOTTUTI” è la significativa esclamazione che il personaggio di Nigel, un uomo dello stretto entourage del premier Cameron, si lascia sfuggire in privato, sgomento dall’esito imprevisto della scelta popolare. I came to Middle England not realising it was part of a series, and this probably impacted slightly on my enjoyment of it. However it is still an enjoyable story chronicling a period of great change in modern Britain. The story covers the period between April 2010 and September 2018, and we (well, the characters) relive many of the major events throughout this period - the Coalition government, the London riots, the 2012 Olympic opening ceremony, Jo Cox's murder, the Referendum, and more. At times this feels like a bit of a checklist of shoehorning events into a narrative, but I did enjoy the ride and most of these added something to the story. As I said, for readers familiar with the Trotters there may be more to enjoy here, but for readers new to the family the narrative is still engaging. Coe has some interesting observations to make about the British psyche, and this has been one of the most enjoyable "state of the nation" books I've read about Brexit/contemporary Britain. Recommended! I gather that this is the third part of a series of books written by Jonathan Coe, over several years. The same characters populate the stories. Does this matter? I don’t think so. If you had not told me that there were prequels, I would not have guessed it. I read Middle England during the week in which the UK parliamentary vote for the Brexit agreement (scheduled to come into force on 29 March 2019). (it was postponed at the eleventh hour). The “Brexit” ruminations in Middle England were thoug I gather that this is the third part of a series of books written by Jonathan Coe, over several years. The same characters populate the stories. Does this matter? I don’t think so. If you had not told me that there were prequels, I would not have guessed it. The “Brexit” ruminations in Middle England were thought provoking, and some were quite insightful. That accounts for my three stars. The characterisations of the individuals and their relationships towards one another were terrible. By and large each life, each family, had convenient, and totally unbelievable, wrap ups. The on/off marriage between Sophie Potter and Ian was so insipid- no chemistry, no sparkle, nothing original. Really disappointing. Ben(jamin)’s reclusiveness also failed to convince me, and actually, thinking again about this being a trilogy, the absence of any substance on his estranged brother and secret daughter are probably explained by the fact that they (I assume) appeared in the earlier novels. It just makes Middle England disjointed and ambiguous. If Jonathan Coe aspires to be a British writer in the mould of Evelyn Waugh, or Anthony Powell, he misses by a mile. So far as Brexit is concerned- and the complicated relationship between Britons and the wider, connected world, the book worked much better for me. •	(129-139)A great section transported back to 2012 and the Olympic Games in London. Not the Olympic Games as sporting endeavour- but that Opening ceremony. Mike Oldfield, Tim Berners-Lee, James Bond, the NHS. Yes, the gestation or realisation of a stand-alone Britain may well have been fostered at that moment. •	(67) Richard Kalergi. I had never heard of him previously, but it seems as though the European union idyll and the accompanying angst goes back a long way. •	Dave Cameron, the Bullingdon club. The antics of a small coterie of selfish individuals playing politics. Muore giovane chi è caro agli dei, dicevano i Greci. Fortunatamente, Jonathan Coe non è stato così caro agli dei da indurli a volerselo prendere tutto, per tenerlo con sé per l’eternità. Coe non è morto giovane e io gli auguro di morire vecchissimo, ultracentenario. Ma agli dei deve essere stata molto cara quella sua fantasia sfrenata, fuori da ogni logica, capace di fargli inventare situazioni assurde in cui si muovono personaggi umanissimi. Quella che gli ha permesso di scrivere La famiglia Wins Muore giovane chi è caro agli dei, dicevano i Greci. Ma agli dei deve essere stata molto cara quella sua fantasia sfrenata, fuori da ogni logica, capace di fargli inventare situazioni assurde in cui si muovono personaggi umanissimi. Quella che gli ha permesso di scrivere La famiglia Winshaw, per capirci. Quella che adesso è, evidentemente, sull’Olimpo. Naturalmente, non che un grande scrittore (tale lo considero) possa diventare un imbrattacarte solo perché non ha più venti o trent’anni: ed infatti il libro della sua maturità è un gran bel libro. Ma è il libro di un bravo, bravissimo, scrittore come ce ne sono; non molti, ma ce ne sono. Non è il libro di uno scrittore illuminato da qualcosa che solo lui ha. E a farmelo dire non è neanche il fatto che sia andato a ripescare gli stessi personaggi per la terza volta: che è un indizio di quello che hanno fatto gli dei, ma ci permette di rincontrare dei vecchi amici, invecchiati e cambiati come siamo invecchiati e cambiati noi che leggiamo, ed è piacevole farlo. E’ che la situazione assurda, qui, non l’ha inventata lui, era già lì, nell’Inghilterra* del secondo decennio del secolo, dove un primo ministro indice un referendum potenzialmente devastante senza rendersi conto di quel che sta facendo; dove nessuno si rende conto di quello che si prepara, perché nessuno capisce che nel suo paese c’è una notevole quantità di persone convinte di essere vittime di discriminazione razziale in quanto bianche; che non ne possono più degli intellettuali; che trovano accettabile non poter più andare a vivere a Berlino o a lavorare ad Amsterdam, tanto ci vanno solo i ricchi, purché questo serva a tenere lontani polacchi e romeni. Persone che mescoleranno in un unico anelito di rivalsa l’insofferenza verso gli stranieri, verso i non stranieri non bianchi, verso i ricchi, verso i privilegiati, e la convoglieranno in un voto che non farà sparire gli stranieri, non toglierà ai ricchi i loro privilegi, ma riaffermerà, nella loro convinzione, un’identità fin lì sottratta dall’Europa. La Brexit si manifesta per quello che è (un’idiozia), ma fornisce a Coe quello che nel basket si chiama assist, ed è un assist formidabile, che gli permette di mostrare la confusione totale del suo paese, senza dover aggiungere niente. Qualcuno abbandonerà il paese, godendo dell’entusiasmo ingenuo e non necessariamente motivato di chi cambia vita. Che cosa succederà è ancora da scoprire. Thanks to netgalley and the publishers for a free copy in return for an open and honest review. This novel is mainly set in the western midlands and timescale is events leading up to the brexit vote and afterwards through different relationships. The author uses characters from both sides remain/leave and left/right. You can feel as though you are part of this even though its still fresh in the mind. “Middle England” di Jonathan Coe. In una sola parola: capolavoro. Come I grandi classici, Coe usa la sua scrittura per catturare lo spirito del momento e restituire al lettore un quadro quanto più esatto possibile della Gran Bretagna della Brexit. Un po’ spiazzante nella parte iniziale, quando il lettore non ha ancora capito che i protagonisti del romanzo altro non sono, in realtà, che gli spettatori di uno show, a suo modo tragico, le cui premesse non avevano colto in tempo, il libro dispiega tu “Middle England” di Jonathan Coe. Un po’ spiazzante nella parte iniziale, quando il lettore non ha ancora capito che i protagonisti del romanzo altro non sono, in realtà, che gli spettatori di uno show, a suo modo tragico, le cui premesse non avevano colto in tempo, il libro dispiega tutta la sua potenza soprattutto nella seconda parte, non a caso intitolata “Middle England”. È un romanzo che è anche un’autocritica da parte di quella classe intellettuale progressista (Coe ne fa indubbiamente parte) che in Italia, in tono dispregiativo, viene definita in tono spregiativo come “comunisti col Rolex”, oppure “buonisti”, o anche peggio. Persone di cultura, spesso arrivate a potersi permettere una vita agiata grazie ai sacrifici loro o dei loro genitori, grazie all’impegno e al talento, persone che per decenni sono state il traino della società in cui hanno vissuto, e che non hanno percepito come il loro progresso li stesse in realtà allontanando dal sentire della gente comune. In giro c’è sicuramente gente con capacità affabulatorie molto migliori di quelle di Coe: sono davvero rari, però, coloro capaci di essere così lucidi nel cogliere la realtà e così onesti da raccontarla come lui. Per me, su Goodreads, la valutazione è stata di 5 stelle piene. Since I’ve spent the last four years as a welcomed guest in the Netherlands, this distillation of the major events of the decade in the UK (just England really as the title suggests) came along at just the right time for me and I would guess many others of us living across the channel, looking on aghast at the chaos at home and considering our future. Interesting that the upbeat ending should lean so heavily towards Europe. I have enjoyed Jonathan Coe’s writing over the years, but haven’t read ‘ Since I’ve spent the last four years as a welcomed guest in the Netherlands, this distillation of the major events of the decade in the UK (just England really as the title suggests) came along at just the right time for me and I would guess many others of us living across the channel, looking on aghast at the chaos at home and considering our future. Interesting that the upbeat ending should lean so heavily towards Europe. I have enjoyed Jonathan Coe’s writing over the years, but haven’t read ‘The Rotters’ Club’ or its sequel. I realise now that the characters I most engaged with here are integral to those two books. Yet ‘Middle England’ is perfectly successful as a stand-alone novel - there are brief mentions of past events but none of the laboured rehashing often seen in sequels. I was particularly swept up in two of the relationships (Ben/Jennifer, Sophie/Ian), written with a sympathetic and delicate touch, but I have one major niggle about the characters. Where did the gorgeous and doughty Naheed go? 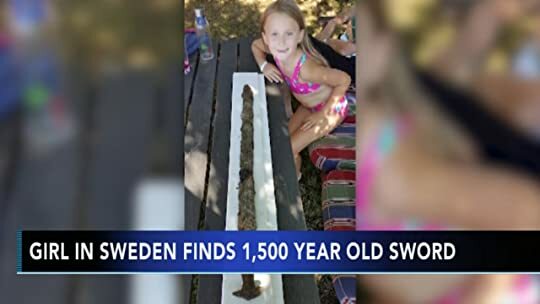 I would have liked her to continue to feature large as the story unfolded. High calibre writing (as you’d expect from Coe), but not a lot of laughs (and I’d come to expect more of those from him). The situation is too real and raw to be funny, certainly not yet. Enjoyed this novel which traces the UK's political development from the 2010 election to (almost) present, through the eyes of the characters from the The Rotters' Club (read) and its sequel The Closed Circle (not read). It was interesting to see the arc of UK history from austerity, the 2011 riots, the Olympics (2012), to the divisions and impasse of Brexit. And how little moments have made such a difference, eg did Labour lose in 2010 because of Brown's 'bigot' remark about the woman who asked Enjoyed this novel which traces the UK's political development from the 2010 election to (almost) present, through the eyes of the characters from the The Rotters' Club (read) and its sequel The Closed Circle (not read). It was interesting to see the arc of UK history from austerity, the 2011 riots, the Olympics (2012), to the divisions and impasse of Brexit. And how little moments have made such a difference, eg did Labour lose in 2010 because of Brown's 'bigot' remark about the woman who asked about immigration and caught because he forgot to switch off his mic? Similarly did they lose in 2015 because Ed Milliband had trouble eating a bacon sandwich? Plus he's a local author so the events were seen from a Midlands/Birmingham perspective (albeit a middle class one). This was all fascinating, but the problem was that the characters didn't engage me, although there were a couple of exceptions. I liked the way the relationship between Sophie (Remain/liberal) and her husband Ian (Leave/conservative) was handled - they represented larger issues, but remained believable. Ian (and his fuming mother!) thinks he is the victim of 'political correctness' at work, being passed over for promotion, and when Sophie, a University lecturer, is suspended due to a misunderstanding about what she said to a transitioning transgender student, he feels vindicated. Sophie is able to see it through however and knows that although it can go too far, 'political correctness' is an attempt to equalise, to remove barriers and biases. (Coe's epithet to this part of the book is 'To the privileged, equality feels like a step down. Understand this and you understand a lot of populist politics today'. Iyad el-Baghadi 2016). The couple split, but later there is some reconciliation, some common ground found. Una lettura rapida e piacevole; un racconto ben congegnato di vicende che si dipanano in un arco di circa otto anni nell’Inghilterra della contemporaneità, attraversata, come tutta l’Europa, da contraddizioni, rigurgiti di malessere, opportunismi, egoismi e chiusure; personaggi non memorabili ma umani, con i quali non è difficile entrare in empatia. Manca un po’ l’ironia graffiante di altri romanzi di Coe e solo per questo non mi spingo oltre le tre ***. I have enjoyed much of Jonathan Coe’s previous work and he writes as well as ever here, but overall I struggled with Middle England. Having dealt with wealth, poverty and finance in modern Britain in Number 11, Coe’s latest state-of-the-nation novel takes us through the politics of the last eight years from the 2010 General Election to the political earthquakes in 2016 and beyond. As ever, he writes beautifully and readably and creates convincing, if slightly exaggerated, characters. The trouble I have enjoyed much of Jonathan Coe’s previous work and he writes as well as ever here, but overall I struggled with Middle England. Having dealt with wealth, poverty and finance in modern Britain in Number 11, Coe’s latest state-of-the-nation novel takes us through the politics of the last eight years from the 2010 General Election to the political earthquakes in 2016 and beyond. As ever, he writes beautifully and readably and creates convincing, if slightly exaggerated, characters. The trouble is that there’s precious little in the way of the wit and satire which have made his previous books readable and enjoyable. Also there is such a wealth of detail both in the period settings and his characters’ lives that I began to get very bogged down and found myself skimming – something I’ve never done before with a Jonathan Coe novel. All this meant that, although I am in sympathy with Coe’s point of view, I didn’t find much new insight, satire or enjoyment here and for me it became a rather dismal litany of all that has been wrong with British politics (with references to the US as well) in the last decade or so. Plainly, others have enjoyed Middle England very much but for me, while it’s certainly not terrible, it was a disappointment. A new book by Jonathan Coe is like greeting an old friend. His books have the capacity to move me like few others. Middle England is his Brexit novel but is so much more than that. It examines the conditions that led up to it, taking in ‘political correctness gone mad’, ‘people like you', and why we never saw it coming. Some of the characters return from The Rotters Club, and The Closed Circle although this reads as a stand alone novel perfectly. Coe shows us how we were encouraged to be dissatis A new book by Jonathan Coe is like greeting an old friend. His books have the capacity to move me like few others. Middle England is his Brexit novel but is so much more than that. It examines the conditions that led up to it, taking in ‘political correctness gone mad’, ‘people like you', and why we never saw it coming. Some of the characters return from The Rotters Club, and The Closed Circle although this reads as a stand alone novel perfectly. Coe shows us how we were encouraged to be dissatisfied with immigration and multiculturalism. As in the British Empire , we are being divided and ruled. Ben Trotter unexpectedly has a book published. A newspaper profile makes it look as if it only happened because of tenuous connections to ‘elites and experts.’ Sophie, a lecturer, is accused of transphobia due to a teenage girl who ‘knows her rights.’ As austerity bites throughout the David Cameron Premiership, people look for someone to blame. One dialogue that runs through the novel is a series of meetings between a journalist, Doug and a communications director in the Tory Government, Nigel. At every meeting save the last one, Nigel makes out that everything is going brilliantly. After the referendum result, he admits that the country is ‘fu**ed’, and that everything is a mess. Despite this, Middle England ends on a tone of glorious hope that makes up glad we made the journey. Jonathan Cole is angry about how Britain has changed, overall since 1979 but specifically in the last 8 years for this novel. He is angry about the rise in anger, hatred and division that has increased in Britain. Reviving characters first seen in The Rotters Club he intertwines actual events with fictional ones to take their story right to the present day. It is a funny thought provoking and entertaining read; though maybe less so if you voted leave. Obviously 5 stars. The man is a genius!! I love a book that attempts to take the pulse of a nation. This is perfect post-Brexit reading and a wonderful multi-voice narrative though there were a couple of characters I preferred over others. Middle England picks up the story of the protagonists of The Rotters’ Club in 2010 and follows their stories up to and after the Brexit referendum. It doesn’t have a conventional narrative arc, it’s more a series of vignettes s I’ve had mixed responses to Jonathan Coe novels over the years. I loved The Rotters’ Club and What a Carve Up!, I thought The Closed Circle (follow up to The Rotters’ Club) and House of Sleep were okay, and I’ve started one or two others that I couldn’t get through at all. Jonathan Coe, born 19 August 1961 in Birmingham, is a British novelist and writer. His work usually has an underlying preoccupation with political issues, although this serious engagement is often expressed comically in the form of satire. For example, What a Carve Up! 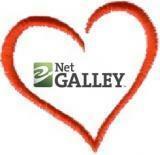 rew Librarian Note: There is more than one author in the GoodReads database with this name. See this thread for more information. Jonathan Coe, born 19 August 1961 in Birmingham, is a British novelist and writer. His work usually has an underlying preoccupation with political issues, although this serious engagement is often expressed comically in the form of satire. For example, What a Carve Up! reworks the plot of an old 1960s spoof horror film of the same name, in the light of the 'carve up' of the UK's resources which some felt was carried out by Margaret Thatcher's right wing Conservative governments of the 1980s. Coe studied at King Edward's School, Birmingham and Trinity College, Cambridge, before teaching at the University of Warwick where he completed a PhD in English Literature. In July 2006 he was given an honorary degree by The University of Birmingham.